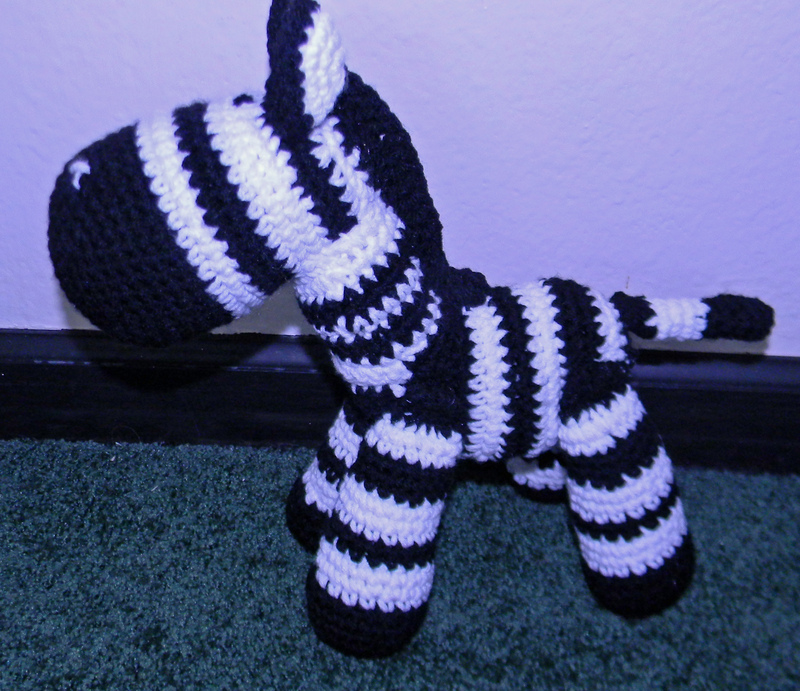 After I purchased the pattern for this baby blanket I knew right away I was going to crochet it in a zebra pattern. 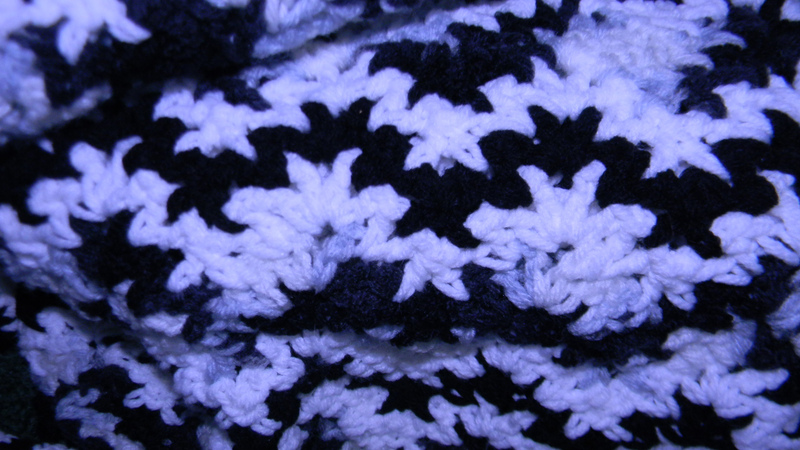 I crocheted 2 rows of variegated yarn, one of white, one of black and one of white, then repeated this combination. After making the blanket I then decided to make it a set with a stuffed animal and hat. I have not purchased the hat pattern yet and since it is in the 90’s here in Florida I am in no rush, lol. I will be selling this as a complete set on Etsy in the fall. I think I will try and combine a baby blue for a boy set and a rose for a girls set. The blanket pattern was extremely easy and after 2 rows I no longer needed the pattern. I did finish off the colors and then join a new color when needed, however, the pattern joins the new color while crocheting. I have never liked this method but I am sure there are many who do. 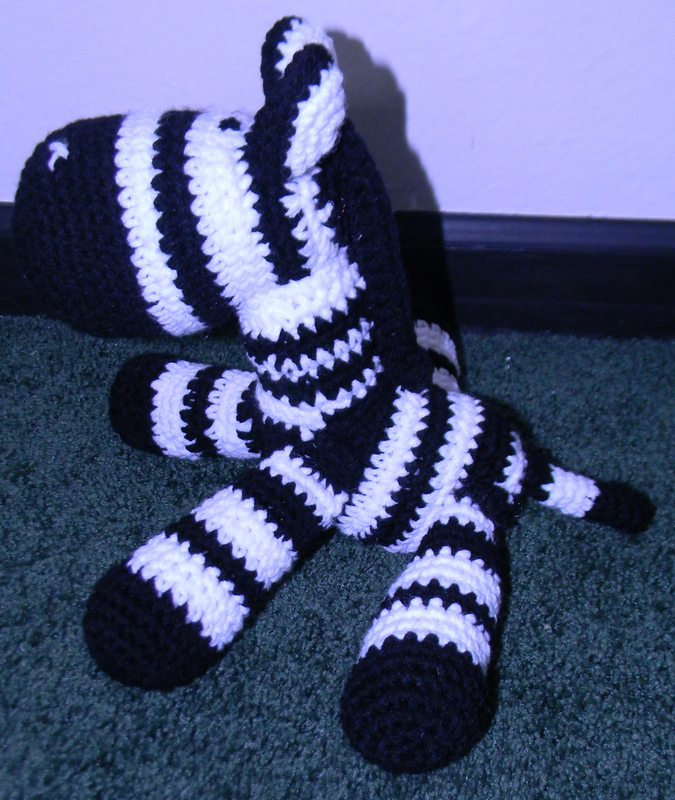 I crocheted the first zebra with an H hook which is called for but, felt like it was way to big for what I wanted. It could be that I also stuffed it too full. So the second one I crocheted I used a G hook. I like the size much better for a baby. I also went down 2 sizes for each of the zebra’s when making the tail. Since I am making these for little ones I passed on the plastic eyes and buttons for the legs. The baby blanket pattern was purchased from churchmouseyarns.com on Ravelry.com. 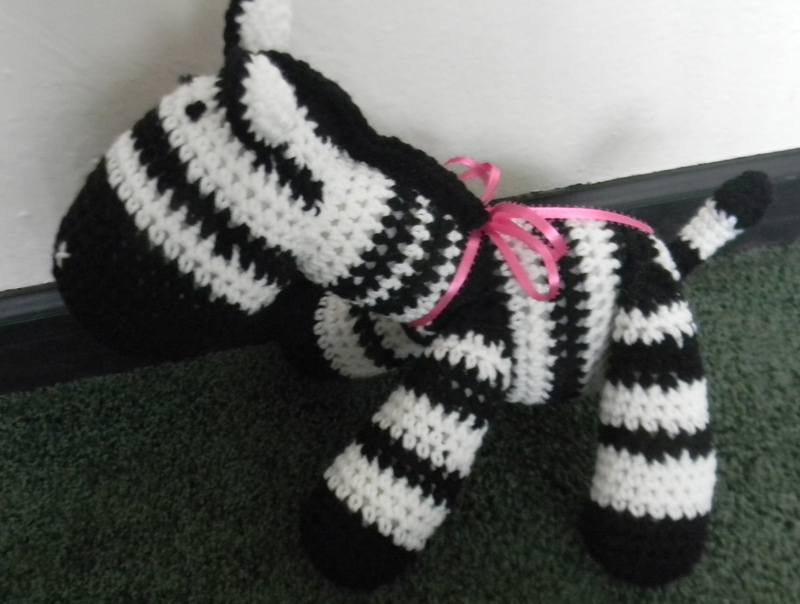 The zebra was purchased from madisonscraftnook.etsy.com. 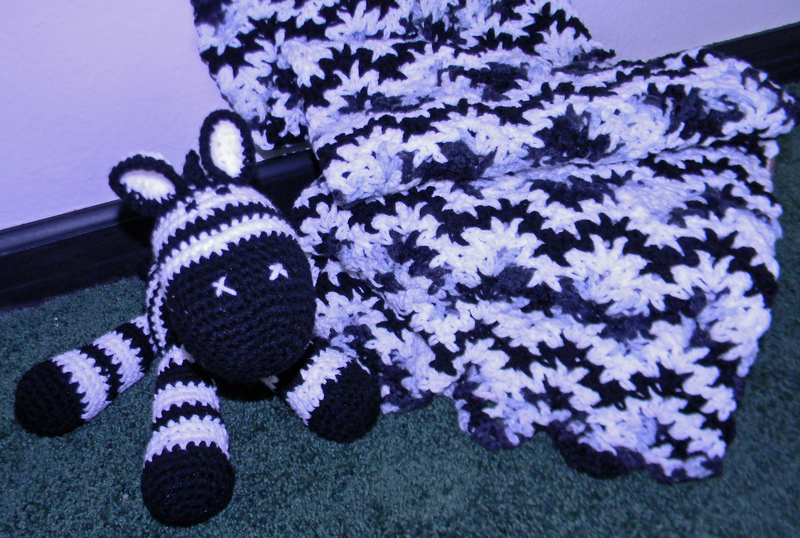 This entry was posted in Afghan, Crafts, Crochet, Toys and tagged Crochet, crochet zebra, Crocheted zebra pattern baby blanket. Bookmark the permalink.